Faraz Bawa graduated with a J.D. from the University of Toronto’s Faculty of Law in 2013. 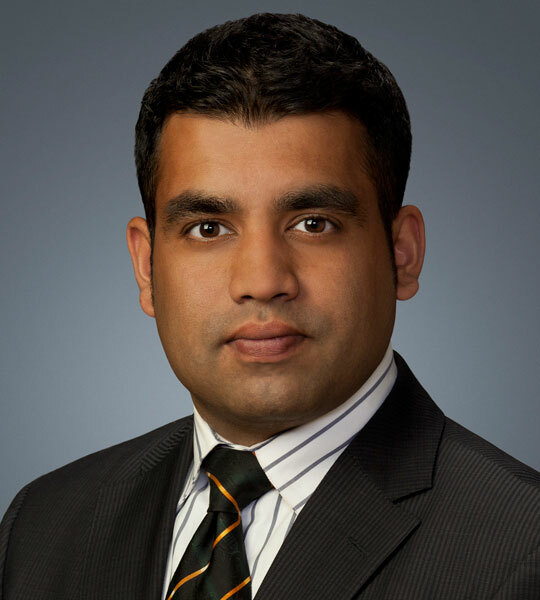 Following his graduation Faraz joined Stewart Sharma Harsanyi as an articling student and was called to the Bar in 2014. Prior to a career in law Faraz completed a B.Com. from the University of Calgary, and has worked as a trader and a compensation analyst. Faraz has experience in appearing before all levels of the Immigration and Refugee Board, the Federal Court of Canada and regularly attends Provincial Court and Queen’s Bench to deal with family and criminal law matters. Outside of the office Faraz maintains a strong level of community involvement. Faraz coaches and plays on an amateur men’s soccer club he founded in 2007. Faraz has also remained connected to the community through various volunteer organizations, and volunteers his time with the Drop-In Centre, Calgary Catholic Immigration Society, the Elizabeth Fry Society and his constituency association. Faraz is fluent in Urdu and Hindi, can speak Punjabi and is learning Japanese.